For Daytime Emergencies please call the clinic at 920-668-6212 so that we may be prepared for your pet's situation and initiate immediate therapy if needed. For After-Hours Emergencies please call the clinic at 920-668-6212. If the doctor is attending to another emergency and is unable to answer your call at that time please leave your name, contact number, and type of emergency when directed and the doctor will return your call as soon as possible. If you feel that your pet requires immediate care please seek services at an Emergency Clinic such as Lakeshore Veterinary Specialists & Emergency Hospital. The phone number for Lakeshore Veterinary Specialists & Emergency Hospital is (262)268-7800. Cedar Grove Veterinary Services emphasizes preventative health care through annual physical examinations, intestinal parasite screens, heartworm testing, viral testing, vaccinations based on your pet's lifestyle, and internal and external parasite preventatives. If health problems are detected during the annual examination additional diagnostic tests can be recommended. When calling to schedule an appointment for your pet it is very beneficial to mention any health concerns you may want the doctor to address (skin rash, lumps, sore ear, weepy eye, ect). This will allow us to dedicate an appropriate amount of time for your pets visit. The Doctors of Cedar Grove Veterinary Services perform routine surgeries such as spays, neuters, and dental cleanings, Monday through Thursday. W e also perform tumor removals, laceration repair, cesarean sections, basic orthopedic surgery, and a wide range of abdominal surgery. Emergency procedures are performed when necessary and as the situation arises. When a surgical case is beyond the scope of our doctors experience, we offer referrals to a number of specialty hospitals with Board-Certified Surgeons. Our patients are evaluated prior to all anesthesia and surgical events and appropriate blood work is performed based on age and health status of the patient. At Cedar Grove Veterinary Services we offer dental cleanings including polishing and fluoride treatments Monday through Thursday. Most of our dental patients go home the same day. Our patients are evaluated prior to all anesthesia and surgical procedures and appropriate blood work is performed based on the age and health status of the patient. Cedar Grove Veterinary Services utilizes modern radiographic equipment in our diagnostic procedures. We perform hip and elbow radiographs for submission to OFA, usually with out the use of anesthesia. Ultrasound imaging is also available when needed for certain cases. If further expertise or advanced imaging procedures are needed for a diagnosis we offer referral to a number of specialty hospitals. 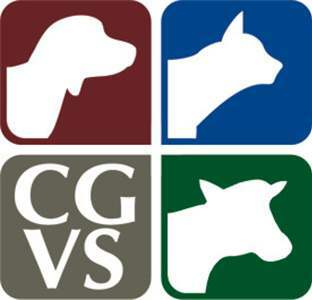 Cedar Grove Veterinary Services has a well-equipped laboratory to meet our clients' needs. We routinely perform blood panels, intestinal parasite screens, urinalysis, microbiology cultures and sensitivities, and microscopic cytology. A wide range of Idexx SNAP tests are utilized to provide clients quick results on tick-transmitted diseases (Lyme and Anaplasma), heartworm, feline viral infections, canine pancreatitis, and giardia infections. At Cedar Grove Veterinary Services we have a comprehensive pharmacy for most pet's medical needs. If special medications are desired we can either fill them at the Pet Apothecary or through a human pharmacy. We recommend Heartgard, Frontline, Sentinel, Nexgard, Effitix, and Revolution to keep your pet parasite free. At Cedar Grove Veterinary Services, our staff loves sharing the joy of bringing home a new member of the family. During our office visit, we will discuss house training, nutrition, behavior expectations, and answer any questions you have regarding your new pet. We go over a vaccination schedule that is specific to your pets' needs and helps maximize your pets' immune system. All puppies and kittens receive an information kit and a sample dose of internal parasite prevention and Science Diet food. Many pets and owners are supported in their pets training needs by our knowledgeable staff at Cedar Grove Veterinary Services. Doctors and staff frequently discuss training techniques that will assist you in attaining the well-mannered canine or feline family member. We also provide clients the option to schedule an extended visit for a behavioral consultation to address specific problems you may be experiencing with your pet. Cedar Grove Veterinary Services offers senior pet health exams and nutritional guidelines. Senior wellness exams, routine blood testing, urinalysis, endocrine hormone testing, electrocardiograph (ECG), and x-rays are testing options that can help us identify health risks before they become symptomatic problems. Proper nutrition and exercise play an important role in your pet's health. Your team at the Veterinary Clinic can counsel you on senior fitness, nutritional needs of the senior pet, care of the arthritic pet and common medical conditions in older pets. At Cedar Grove Veterinary Services, we recognize the importance of high quality nutrition to support healthy pets. The doctors and technical staff are trained to ask diet questions during the annual exam, and to provide an assessment of your pets' body condition score. This information can then be utilized to provide nutritional guidelines to enhance the well-being, health and longevity of your pet. When specific disease situations occur, whether it is a mild gastrointestinal upset or a chronic organ dysfunction, we can provide diet options to keep your pet as healthy as possible. We recommend and stock Science Diet maintenance and prescription diets. Cedar Grove Veterinary Services offers the HomeAgain microchip for pet identification. This tiny microchip can be placed under the skin of your pet at any visit to our clinic. Your pet is then enrolled in the HomeAgain lost pet recovery program. A simple scan of your pet gives us the individual identification number so your pet can be returned home. More information is available at HomeAgain.com or call 1-888-HOMEAGAIN (1-888-466-3242).